Have you ever wondered how an iPod knows when you flip it or how it can respond to a game you are playing on the screen, This piece of technology is called the accelerometer and it is a vital piece of the iPod puzzle. The accelerometer inside the iPod touch uses three elements; An electrical current, silicon mass, silicon springs. When these elements are tied together, they give the user an incredible gaming experience. The silicon springs measure the position of the silicon mass and cause a fluctuation in the electrical current. The springs do this by gauging where the electrical current is moving through the silicon mass. When the silicon moves, the current changes and the LCD screen receives a different signal. This variation then sends a signal to the iPod telling it to adjust the game or whatever is on the screen. The iPod touch detects when you rotate it from portrait to landscape and automatically changes the display accordingly. By simply flipping the device to a portrait or landscape view, you can immediately see an entire web page, control a game using only your movements or view a photo in the proper aspect ratio. Accelerometer technology also works in connection with other devices. 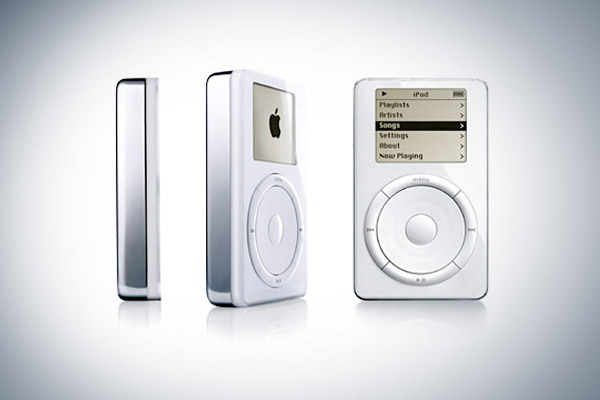 For instance, in April 2008, Nike and iPod teamed up for Nike + iPod. Nike + iPod allows you to track your workouts and receive progress updates such as distance and calories burned through your headphones. A small device is placed in your shoe and the device interacts with your iPod and allows you to upload your workout statistics into your iTunes library for future use. Also, the Nike+iPod combination allows you to create customer workouts and can even interact with your workout equipment. Treadmills, elliptical machines and stationary bikes made by some of the larger equipment manufacturers, now have the capability to record cardio workouts directly to a users’ iPod device.